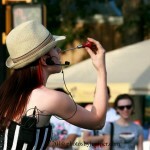 A wonderful mix of comedy, carnival stunts and amazing magical acts. You can expect lots of audience participation in this one-of-a-kind show, designed to thrills you with impossible stunts that push the limits of the human mind and body. Show designed to play big even on a small stage. Bring the thrill of the classic sideshow to your event with the odd and amazing acts of this darling little sideshow stunt girl. Perfect for: carnival, halloween, vaudeville or circus theme. 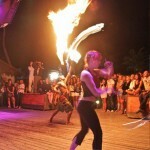 An amazing variety show including circus, magic and fire performance as well as dance, comedy and audience participation. Perfect for making a big splash at your next corporate event. LED & Glow Shows incorporate contemporary dance, a beautiful light show, music and costumes. Perfect for galas, dinner show entertainment, corporate parties, fire works displays, light shows, concerts and more. Circus Playshops give children the chance to explore and enjoy circus skills first hand. Not only are circus workshops a fun and engaging activity for children, they also encourage children to be active, work on fine motor skills and hand eye coordination. Inspire your children to be creative and cooperative through play. This elegant and dangerous style of performance is as old as theater itself. Fire eating, fire breathing, and contact fire tricks, such as the lighting of the tongue, are all part of the realm of fire manipulation. 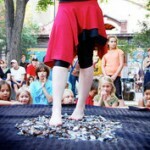 A dazzling show for any audience. I would not hesitate to hire Carisa and her fire show again. 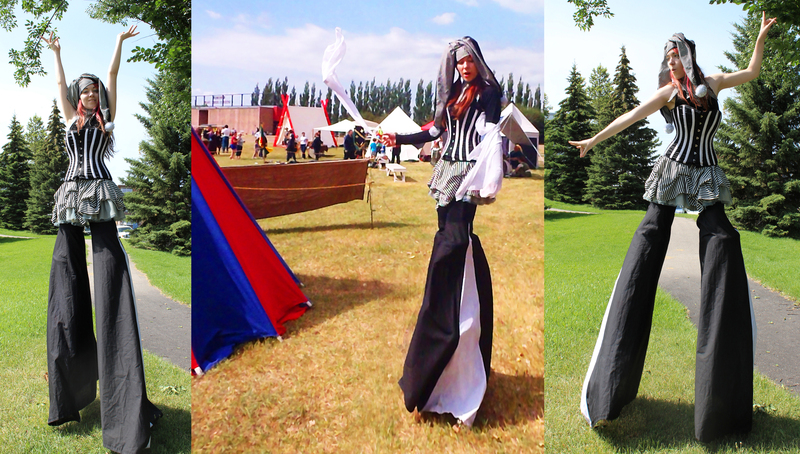 A stilt walker can add to the atmosphere and sense of occasion at an event. It also provides guests with a wonderful photo opportunity. A large variety of characters are available and we are always happy to custom design something for your event. Just ask. Halloween events such as haunted houses require a special touch of weird, dangerous, and spooky acts.